Captain James Cook (1728–1779) was one of the most influential explorers in history. Cook sailed thousands of nautical miles across largely uncharted areas of the globe, discovering new lands and mapping vast areas of the Pacific Ocean. His achievements not only included the discoveries of countless islands, exotic peoples and previously unknown flora and fauna, but they also led to the settlement of Australia in 1788 and ultimately, changed the world. The Voyages of Captain Cook is the story of his thrilling and perilous voyages around the world. In a world where bucket list activities and once-in-a-lifetime experiences are more possible than ever before, it is the wilds of the natural kingdom and its majestic and often eccentric inhabitants that fuel the wanderlust. From tracking jaguars in Brazil and hiking in Transylvania’s Carpathian Mountains to cruising the Azores to spot blue whales, the opportunities for exploration and adventure are endless. 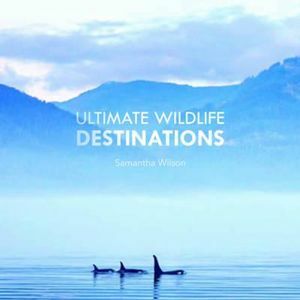 Containing 100 carefully chosen destinations, Ultimate Wildlife Destinations will take readers on a journey across oceans and polar ice caps, rainforests and mountain peaks in search of the most astounding creatures on the planet.